The future of Deadwood, one of the more acclaimed dramatic series in HBO history, has been in limbo almost since it aired its final new episode in August of 2006. The popular Western, created by David Milch and starring an expansive cast led by Ian McShane, Timothy Olyphant, and Kim Dickens, ended on ambiguous and mostly unsatisfying terms and a pair of TV movies that were supposed to wrap up the series were never made. 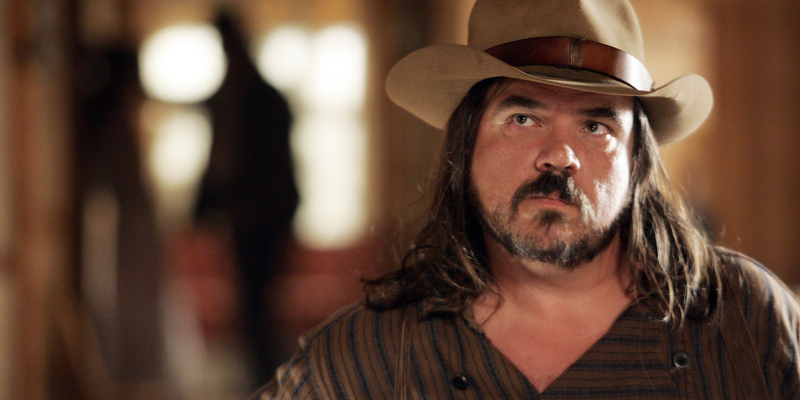 As reboot mania has overtaken popular culture, talk of a continuation of Deadwood has resurfaced periodically over the years. This picked up in early 2016, with the word that HBO had given the green light for Milch to begin writing a Deadwood movie. Last month, reports surfaced that Milch had delivered that script to HBO -- and now an original actor from the series says that he has seen and read the script with his own eyes. "Much like the Scottish Leviathan and the Himalayan Ape Man, its existence has been long rumored... can now lay the Legend to rest and swear to its being a real thing…. Times past, I'd have held it in my hands, 126 pages of heft... But these days, it's sent on invisible wires, a mysterious series of ones and zeros that downloads into ones palm...While it may lack the physical heft of olde, its emotional and philosophical heft is gargantuan...The hour and half it took me to read was f***ing thrilling and f***ing heartbreaking...I was sitting on an airplane, cheering and crying as I took a journey that only David Milch could create -- I've read the DEADWOOD film script. It's stunning… I've read, or had Dave read to me, sections of it over the last two years. I now have the completed version." Sure, an actor talking about a project with which he’s long been associated isn’t exactly going to be unbiased. But that Milch has not only finished the script of the Deadwood revival film for HBO, but is at the point in which he’s passing it on to actors, can certainly be considered a good sign for the many fans who have been waiting a long time for a continuation or conclusion to the Deadwood saga. Now, obstacles remain to the Deadwood project actually moving forward, as they have throughout the previous 11 years. We don’t know that HBO brass will find themselves as enamored with the script as Brown is. That’s a really large cast of very busy actors, and it’s going to a logistical challenge to not only assemble that cast at the same time, but to re-assemble the series’ famously complex sets. Not to mention that Milch is attached to HBO’s latest itineration of True Detective. But despite all that, it can now safely be said that an actual return of Deadwood is closer now than its been since the show ended. There’s no date yet for when Deadwood may return; all three existing seasons are available on HBO Go and HBO Now.